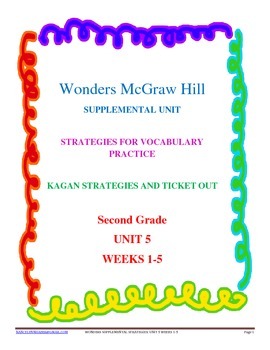 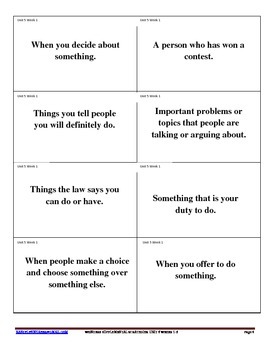 This unit focuses on vocabulary practice using Kagan strategies and also a ticket out for your Common Board. 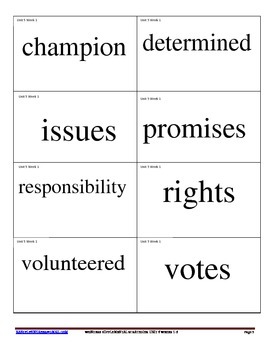 Includes flashcards to print with word on one side and definitions on the back. 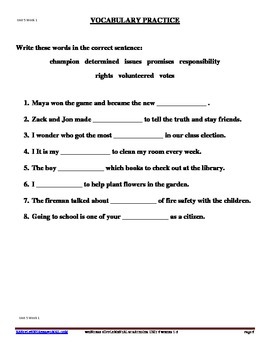 A worksheet using cloze to complete each sentence is your ticket out.